In November 2017, Conviviality was riding the crest of a wave after share prices hit a record high of 426p following a raft of acquisitions. Chief executive Diana Hunter was the toast of the stock market as revenues had soared by 85% to £1.65 billion in the year to April 2017, while profits more than doubled to £22.5 million. Investors were sitting on a healthy paper profit, and Conviviality was praised for integrating retail chains Bargain Booze and Wine Rack, suppliers Matthew Clark and Bibendum PLB and events companies like Peppermint into one sprawling beast. It took just five years to grow the business amid rampant consolidation, but it will now always be remembered for providing one of the swiftest corporate collapses in British history. The wheels came off in spectacular fashion after it issued a profit warning in mid-March, blaming an “arithmetic error” from a member of its finance team. The bad news simply piled up after that. Two more profit warnings were issued, it announced it had forgotten about a £30 million bill owed to HMRC by the end of the month, the share price collapsed, Hunter fell on her sword, it failed to secure £125 million in emergency funding to shore up its finances and then it was plunged into administration. From hero to zero, all within a few weeks. Everyone is asking how it fell apart so quickly. Shame-faced investment bibles admit to being staggered after advising readers to buy, buy, buy. Shares in the group were suddenly worthless and furious investors are scrabbling around for someone to sue. Frank Field MP, chairman of the parliamentary work and pensions committee, called the situation a “mess” and urged the Financial Reporting Council to investigate the group’s auditors. The saga developed quicker than a Game of Thrones box set and provided a similar level of compelling drama, but it has been a nightmare for the thousands of employees and hardworking franchisees. Yet Bestway has now swooped in to rescue the retail estate, promising to safeguard several thousand jobs, and Magners supplier C&C has plucked Matthew Clark and Bibendum PLB from the ashes of the Conviviality party, financed by the world’s biggest alcoholic drinks producer, AB-Inbev. No jobs have been lost, a semblance of confidence has been restored to the market and C&C has pledged to pay back any outstanding debts to suppliers and producers. This sorry saga has seen a relatively decent outcome and there is light at the end of the tunnel for many. Now it is time to take stock, figure out who has suffered the worst and work out how to prevent something like this from happening again after the face of our industry was irrevocably changed. First, it has to be said that the Bestway buyout is not a silver bullet to save the Bargain Booze estate. Retailers across the UK have suffered immense reputational damage in the past few weeks as shelves have been bare, stores have been shut and shoppers headed elsewhere. Retailers’ margins will have taken a battering and they will have been dipping into cash reserves in a desperate bid to source drinks from wholesalers. 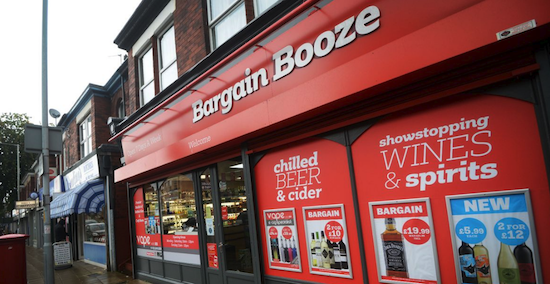 Bestway needs to get the supply chain back up and running swiftly, sort out Bargain Booze’s AWRS certification, appease suppliers and win over sceptical and embattled franchisees. These are the sort of people Bestway needs to win over, and it has promised “business as usual” at 769 stores across the UK. It needs to compete with Booker and Tesco after those giants merged, so it will be desperate to persuade franchisees to stick with Bargain Booze. It is certainly a respected and professional business. Bestway Group is the UK’s eighth largest family-owned firm, with businesses in multiple sectors both in the UK and abroad. It has an annual turnover of £3.3 billion and a global workforce of more than 33,000 people, with around 12,000 staff in the UK. Bestway Wholesale serves 125,000 independent retailers and caterers from 63 warehouses nationwide. It has more than 6 million sq ft of selling space, offering a product range of some 25,000 items. The business also encapsulates Best-One, Xtra Local, Bestway Export, BB Foodservice, Drinks Express, Bestpets and Bestpets Local. Bargain Booze and Wine Rack now find themselves in the same stable as: Well Pharmacy, the UK’s third largest pharmacy chain; Bestway Cement, Pakistan’s largest cement manufacturer; and United Bank, Pakistan’s second largest private bank, with assets under management of US$10.3 billion and 1,400 branches serving 5,000 customers. Sir Anwar Pervez, a billionaire former Bradford bus driver who features in The Telegraph’s 13 most inspirational rags-to-riches tales, owns the group. His nephew, Zameer Choudrey CBE, is chief executive, and he said: “This deal provides much-needed certainty to these stores and our priority will be to stabilise the supply of stock into these businesses. These retailers can get back to business as usual, with the confidence of having the support of the UK’s largest independent wholesaler. Then there is the reputational damage that the British wine trade has suffered amid reports of wine being held in ports or returned to wineries as insurers would not allow it to be shipped. There is unease about a cider and lager producer taking on Bibendum, one of the UK’s most respected wine suppliers, particularly when respected commentators like Jancis Robinson MW are Tweeting things like: “Magners 1-0 Wine.” Meanwhile, several leading suppliers and wholesalers are at one another’s throats, squabbling over whether to seize on Conviviality’s collapse as a business opportunity or to respectfully sit back and refrain from sticking the knife in. Many have fallen out and tensions are frayed. It will take a while to restore order and, ahem, conviviality to the trade, and in the meantime business will probably suffer. The City has been seriously burned by the whole saga and confidence in the drinks industry as a sector worthy of investment will be low. That could stifle growth plans for many businesses. So, while ostensibly there are not too many serious victims just yet, the entire trade is licking its wounds somewhat. Who can be punished? Hunter is unlikely to resurface any time soon and the board that presided over the mess has disintegrated. Rather than pointing the finger, it might be more productive to learn from the fiasco and pull together in a bid to put controls in place to ensure something like this does not happen again. That is a prescient warning for the entire supply and wholesale trade, but retailers can also learn from it. Christmas 2017 saw exceptionally strong sales for the BWS category, and Conviviality should have been able to tap into this. It was unable to highlight an issue with its relevance in today’s market. Stacking them high and selling them cheap is arguably not the most sensible approach in an era where craft, premiumisation and moderation are the buzzwords. Is a major chain viable? The Conviviality saga evoked painful memories of the collapse of Thresher and previous woes suffered by national off-licence chains such as Oddbins. We polled 200 retailers to gauge confidence levels, and just 32% said they felt it is possible for a big chain like Bargain Booze or Thresher to thrive in the years ahead, while 68% said it isn’t. How did it collapse so quickly? At the height of her pomp Diana Hunter was the most influential figure in the UK drinks industry, after engaging in the sort of rampant empire building that would have made Caesar proud. Instead of riding the realm in a chariot, her vehicle of choice was a chauffeured Porsche Cayenne. She would sit in the back, working on her computer as she was driven between the various Conviviality hubs in places such as Bristol and Crewe. This mobile office was even equipped with a printer that allowed her to produce takeover agreements and sign them on the go. This detail once sounded vaguely impressive and somewhat intimidating, but now it is being used to mock her. Comparisons to David Brent abound. Hunter went from stock market darling to pariah in the course of a few weeks, but the recriminations will go on for years. The question on many lips is: how did it collapse so quickly? Some see it as a cynical effort to drive the share price up, allowing some investors to sell before the empire crumbled. Others insist Hunter knew little about the problems and her generals were keeping her in the dark. Some sources claim the group had been covering things up for a while and when it realised it could no longer do so it all disintegrated rapidly, like a line-up of dominoes toppling. But the majority call it sheer managerial incompetence, and that is the most likely explanation. Conviviality performed a dizzying sequence of acquisitions, producing impressive growth, but the team running the show could not keep up. It snapped up retail chains such as Wine Rack, Rhythm & Booze and Central Convenience and bought wholesaler Matthew Clark for £200 million in 2015. That was followed by the purchase of outdoor bars firm Peppermint and, in 2016, a £60 million deal for Bibendum. At one point the business was valued at £750 million. Investors were handed £20 million in dividends in 2017 – more than double the payout in 2016. Hunter was more than justifying her pay packet of almost £1 million. But then it all simply fell apart. So convivial was the company that it forgot how to do its sums, forgot its taxes were due and forgot how to keep proper records, quipped one national newspaper. An arithmetic error that led to it inadvertently exaggerating expected profits from its wholesale division by £5 million a year in January was pretty shocking. It evoked memories of an Olympics embarrassment, whereby the London 2012 Organising Committee sold 10,000 too many tickets for the synchronised swimming after a member of staff had entered 20,000 into a spreadsheet instead of 10,000. Or the Goldman Sachs valuation blunder that undervalued Tibco during a $4 billion buyout, where partners double-counted in error on a spreadsheet, leading to a $35 million lawsuit payment. However, a simple arithmetic error is not enough to bring down a business of Conviviality’s size. A source pointed out there had been signs of the empire crumbling long before the March meltdown. When Conviviality purchased 127 c-stores from Central Convenience in December 2017 for £25 million, it did so through the placing of 8 million new ordinary shares at a price of 375p to raise £30 million. That raised eyebrows, as many expected Conviviality – which had a turnover of £1.6 billion in 2017 – to be a cash-rich business. 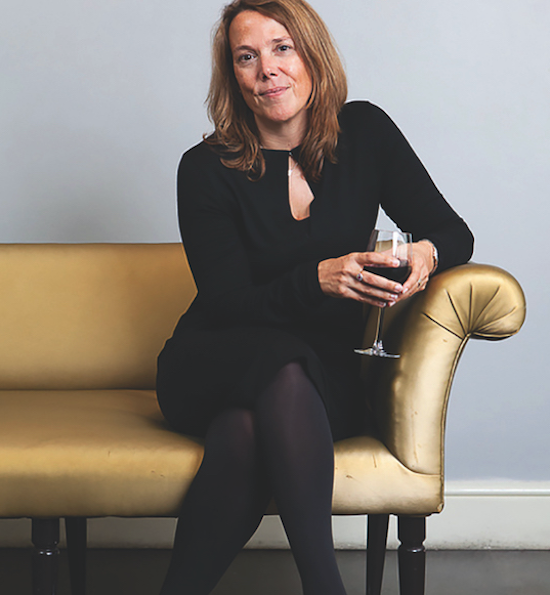 Conviviality’s chief financial officer, Andrew Humphreys, left in October 2017, while non-executive director Jennifer Laing left last April after just 11 months on the board. The source said: “The half-year figures weren’t very good. It was classic CEO playbook, to look at the numbers and say that was the strategy all along [the group announced it had deliberately taken a hit to secure long-term supply deals].” Conviviality is believed to have paid £1 million to Wetherspoon for the right to be its exclusive supplier. On tiny margins, this is the sort of arrangement that would take years to pay for itself, if ever. Conviviality also struggled to wear two hats at the same time, trying to operate effectively as a retail group and a supplier. “Conviviality came from a retail background, and maybe it strayed too far into a sector of the market it didn’t understand so well,” said David Gleave MW, managing director of Liberty Wine. The analysts are now savaging the group. “The numerous accounting errors and misjudgements suggest poor management oversight,” said Molly Johnson-Jones, retail analyst at Global Data. Mark Brumby, an analyst at Langton Capital, said: “If you’re bombing along at 120mph on a straight road, that’s great. But when you hit a bend, you go flying off into the woods. The firm’s cashflow management certainly wasn’t good enough or it wouldn’t have gone bust. This was a £1 billion company a few months ago and now it’s worth nothing. Investors Chronicle added: “Conviviality’s free cashflow of £51.2 million at the end the last financial year turned into a cash outflow of £13.6 million by the end of the first half, pushing net debt up from £95.7 million at April 30, 2017, to £133 million by October 29, 2017. Having a lot of debt doesn’t necessarily do you in, but running out of cash to pay back that debt, or even pay your overheads, often spells the beginning of the end. “Investors and analysts have been left scratching their heads asking what went wrong. We must include ourselves in this, having placed the shares on a long-term buy rating, although we weren’t alone: analysts at Shore Capital and Investec both reissued buy ratings on the stock just days before the initial warning, assured by management at the time of half-year results in January that all was well. After the fall of Rome, life became a pretty sad affair. 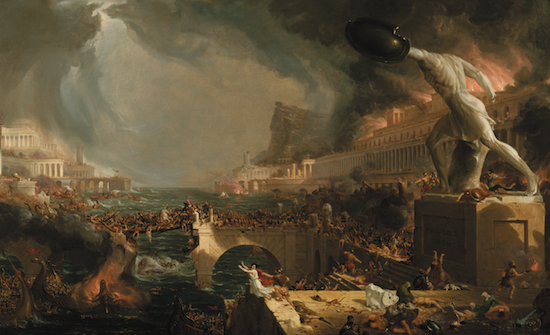 The order that the Roman Empire had brought to western Europe for 1,000 years was no more. This period was called the Dark Ages and it lasted about 500 years. Conviviality was only going for five years, so by that reckoning the drinks industry’s dark age will hopefully last no longer than two-and-a-half years. Yet, despite the multi-tentacled nature of Conviviality, and the damage its demise has caused, there are plenty of thriving businesses within our industry, and there is now the opportunity for many more to flourish in this post-Conviviality world, so there may not even be a dark age at all. Global Brands reports record sales due to "innovative NPD"